Centennial Love covers Bella and Edward's different feelings of Renesmee dating and marrying Jacob. There will be discussion whether Nessie can take the name of Black over Cullen or whether or not she uses both. We with also get of Edward's feelings over his little girl having a baby of her own. 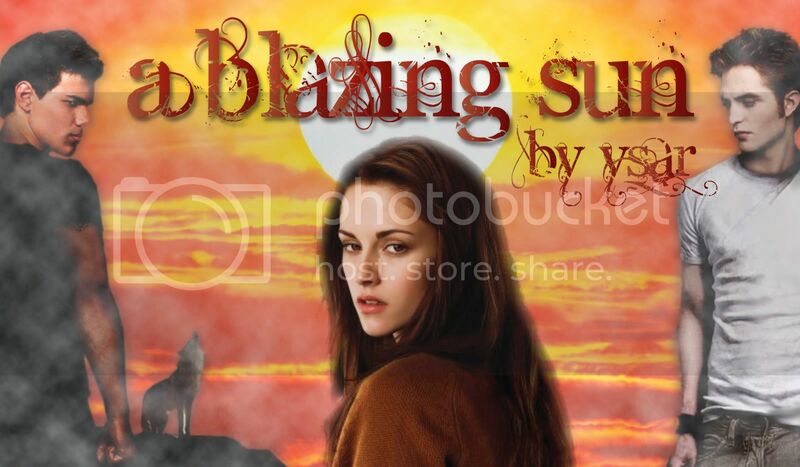 the one-shots will cover different pieces of the Cullen's lives as Renesmee grows. It will also have stories that touch on Renesmee and Jacob's feelings as well. This is a story of Leah and Jacob`s daughter. Her name is Natalia Maria Black. She is the second women wolf in history, the first being her mother, Leah Clearwater. Natalia puts a whole new meaning of the saying like mother like daughter, when her boyfriend, Andrew, imprints on her sister, Victoria Clearwater, and she becomes the bitter hypee of the pack! Her father is the pack leader but why is she in Sam`s pack, instead of her own father? To find out more read this story!! What if Bella got exactly what she wanted from Edward for her birthday? What if it changed everything? What if the Consequences lead Bella away from Forks and into the arms of the Volturi? What if Edward finds out that Bella is dead? 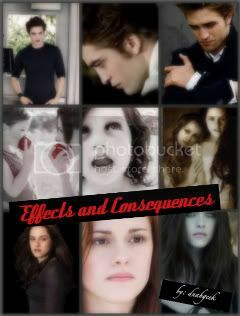 Consequences is the story for Bella's point of view. This series is a gathering of stories with Emmett Cullen as the lead character. A collection of holiday inspired one shots. This story follows a very differnt bella what if in stead of the usual dark haird beauty she was 4'10 a Ballrina and had dark blonde hair. like myself how would this change events in the story? What's a guy to do when he finds that biology has determined his life's partner? Whether or not he wants to be, he is instantly drawn to his imprint. He is hers, body, mind, heart and soul. This is not a comfortable process for strangers or near-strangers. This series is intended to explore the imprint as a mating imperative. A biological necessity that prompts a werewolf to devote himself to his imprint in a bond that transcends romance and infatuation. The imprint will be explored through the non-canon pairings of Embry Call and Bella Swan as well as the imprinting of Jacob on another character and Leah Clearwater on Charlie Swan! Like the title says, this is a series that really wasn't going to be one until I had a random idea for an epilogue. So now, there are three five stories for this series. Edward and Bella stay in touch after she chooses Jacob and reunite after Jacob imprints unexpectedly. Edward wins Bella back in FROM THE WINGS. The epilogue of FtW indicates that the Cullen Coven is going to have to disband, by order of the Volturi. Feeling it is all her fault, Bella plans a way to fix things for her family forever in PLACES, EVERYONE! ...but there are consequences to her actions. LIGHTS UP will conclude the trilogy and detail the futures of the Cullens. Meet the three main characters - AnnaBelle Swan (Belle), Isabella Swan (Bella), and Ewdard Cullen, along with all of the other characters we know and love! Then, Bella is brought into the story. Edward has not met Bella yet, for she had not been born. Now that he has met her, what are his feelings towards Belle?